Advertising is an essential part of your business, contact today so we can plan out your marketing plan. We have you covered, offering both print and online advertising. 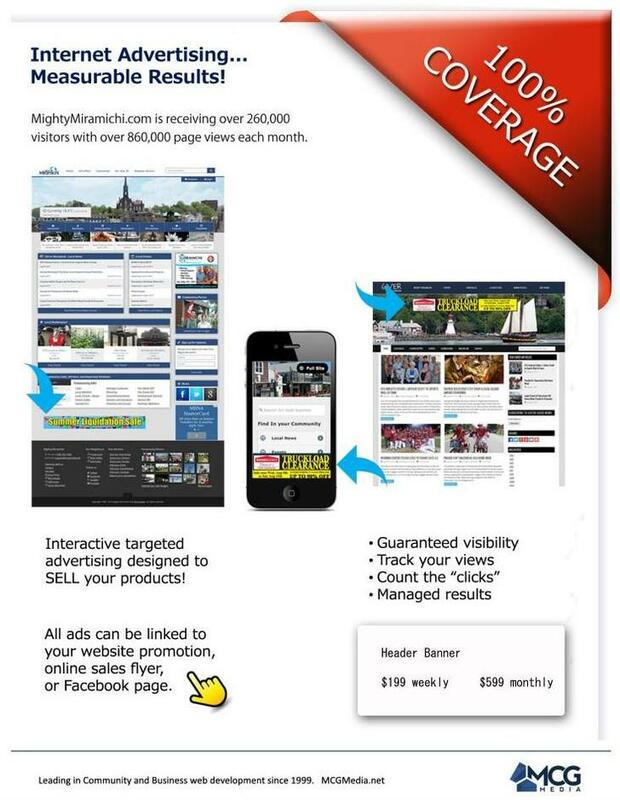 MightyMiramichi.com is receiving over 8,000 visitors per day. 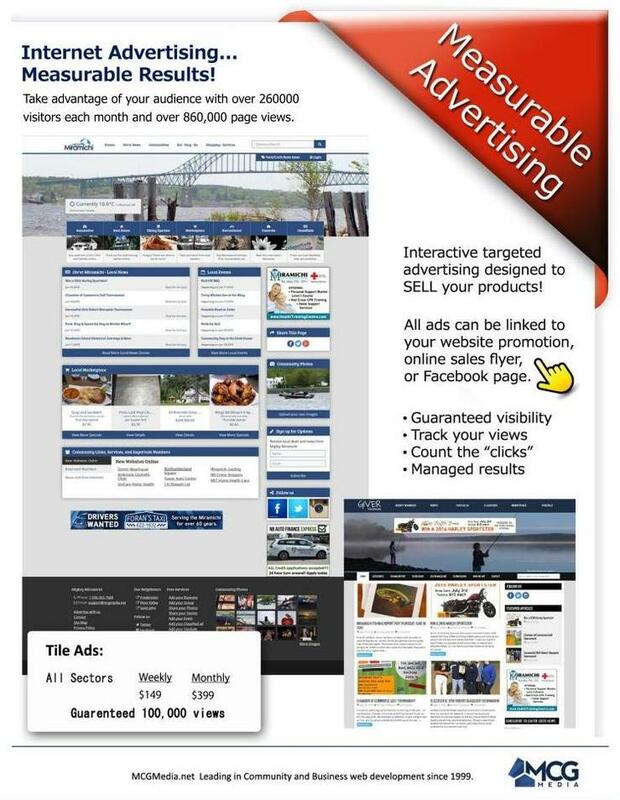 Offering Targeted Tile and Banner advertising. 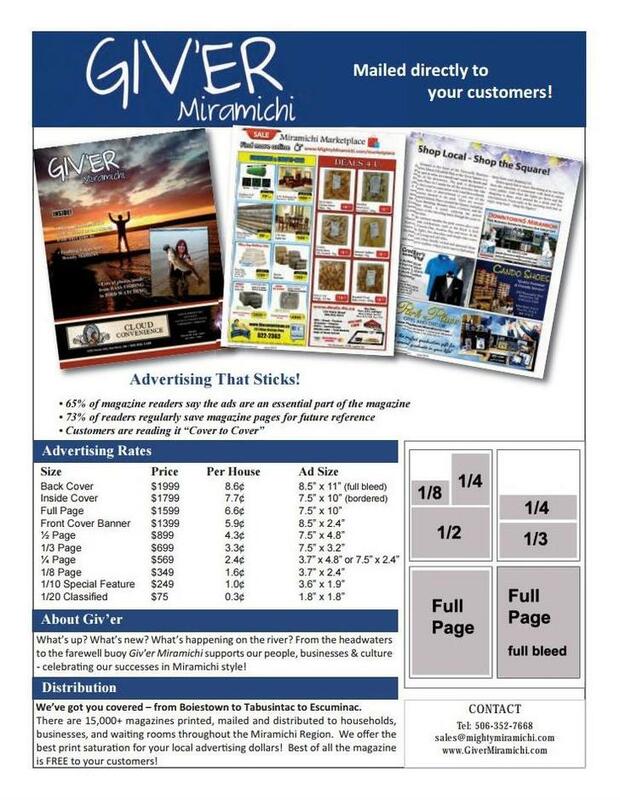 Over 15,000 distribution directly mailed to houses throughout the Miramichi region and located in all major local stops. $150 - $2000 per issue, as low as 1 cent per household.